Attention aviation professionals, prospective pilots, students, and commercial airline training centers: this is your captain speaking. We’d like to invite you into the cockpit for a behind-the-scenes look at a major announcement which is sure to fill the skies with excitement. So sit down, fasten your seatbelts, and please secure your trays into the upright and locked position — because we are about to takeoff on a whole new era. 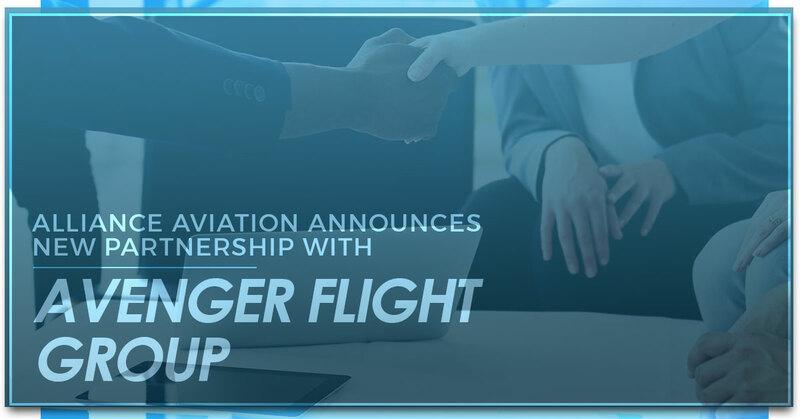 Alliance Aviation is proud to announce a new partnership with Avenger Flight Group, one of the leading providers of state-of-the-art flight simulators in the industry. This new partnership brings together the commitment by both companies to offering comprehensive, integrated flight training opportunities to pilots in the United States and beyond. At Alliance Aviation, we have long been committed to providing commercial type rating training and other pilot courses which are designed to prepare international pilots for a career within the United States. Now, we can offer these same great services in conjunction with some of the very best flight simulators known to the industry. It is an exciting time for Alliance Aviation, Avenger Flight Group, and pilots from all across the U.S., Latin America, India, and elsewhere. If you are looking for integrated type rating training in the U.S., then you’ve come to the right place. Keep reading to learn more about the partnership, the benefits of flight simulation training, and more. Contact Alliance Aviation today to enroll and become a pilot! Alliance Aviation is an FAA 142-approved flight academy for prospective airline pilots who are looking for type rating training, ATP-CTP training, and other valuable programs. Based in Miami, Alliance is geared toward training pilots from international markets, and the new partnership with Avenger Flight Group only strengthens the opportunity to train pilots in the United States and beyond. That pilot shortage Flores referred to is well known to the aviation industry, and only further reinforces the need for qualified pilots who have the requisite training necessary to become a commercial airline pilot. Avenger is one of the leading flight training providers in North America, providing resources and state-of-the-art flight simulators necessary to meet the demands of various programs. With locations in Fort Lauderdale, Las Vegas, Dallas, Mexico, and more, Avenger’s flight simulators — combined with Alliance’s type rating training programs — create a perfect opportunity for prospective pilots to get the guidance they need to take off. 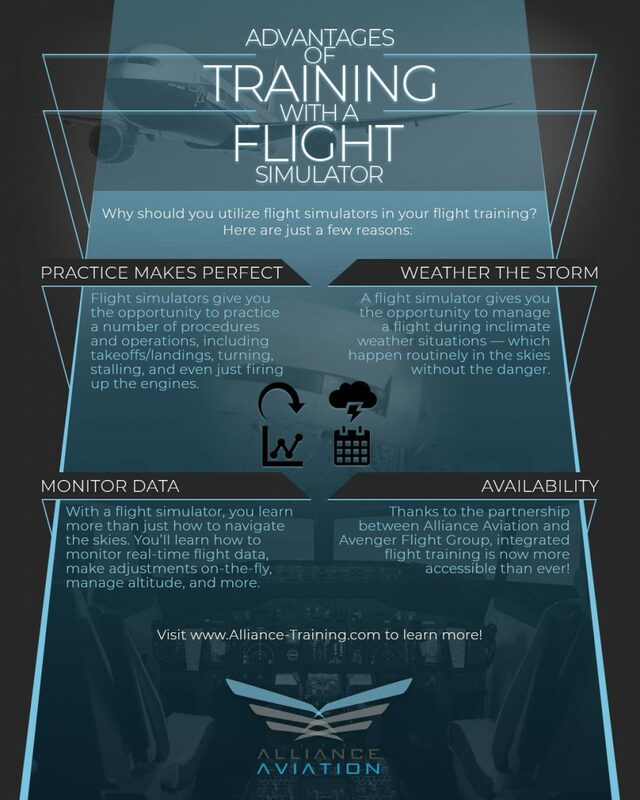 How do flight simulators help? Read our previous blog to find out and contact Alliance Aviation today to get started. We hope you enjoyed this exciting announcement, and we can’t wait to see you flying the friendly skies soon!